Rejecting Yohan Cabaye has been one of Rafa’s best decisions at NUFC – A star’s been born – NUFC blog – Newcastle United blog – NUFC Fixtures, News and Forum. 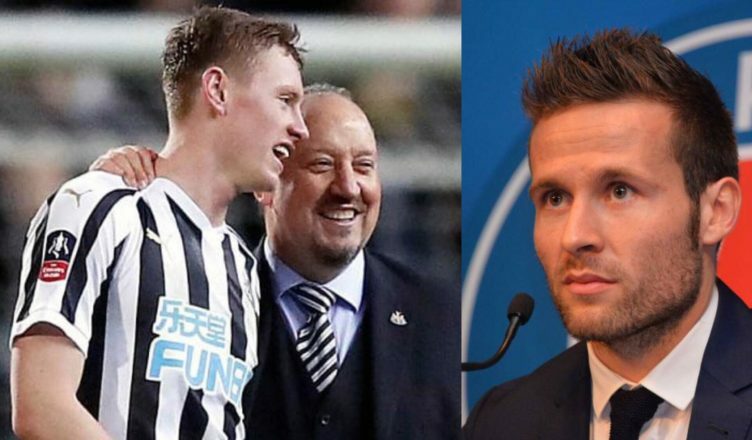 A month ago today we were down to our bare bones in central midfielder, and a free agent move for Yohan Cabaye was touted – but we should be thanking our lucky starts that Benitez said no. Why? The emergence of Sean Longstaff – something that may not have happened had the former Mag signed on a short term deal to ‘plug the gap’. I’d be lying if I said I wasn’t worried this time last month. Our midfield constant Mo Diame was injured, no return date was set for Jonjo Shelvey and Ki was away at the Asian Cup – leaving Longstaff and want-away midfielder Isaac Hayden as our only two options. A few weeks later and not only has Longstaff filled in well – forming a pretty formidable partnership with Isaac Hayden – he’s probably been our best player over in the meantime. He’s been nothing short of sensational, showing maturity and class beyond his years both on and off the ball – so much so that I can’t see how Ki or Shelvey get back in the side if he keeps this level of performance up. It was confirmed by local papers that Cabaye’s name was put towards Newcastle – and you can see why given our lack of midfield options, his Premier League experience and the fact we was suddenly available on a free in our time of need – but it’s good job we said no. Cabaye may have had fond memories of Newcastle and could have been a solid stop-gap option, but we now have a bright young local lad in Sean Longstaff – a player that looks to have the potential to be a top player on Tyneside for the decade. It looked like a decent idea at the time, but thank goodness Benitez turned down a former favourite who left for money and put his faith in Longstaff instead – a player who has shone after being given a huge role and extended run in Rafa’s side.